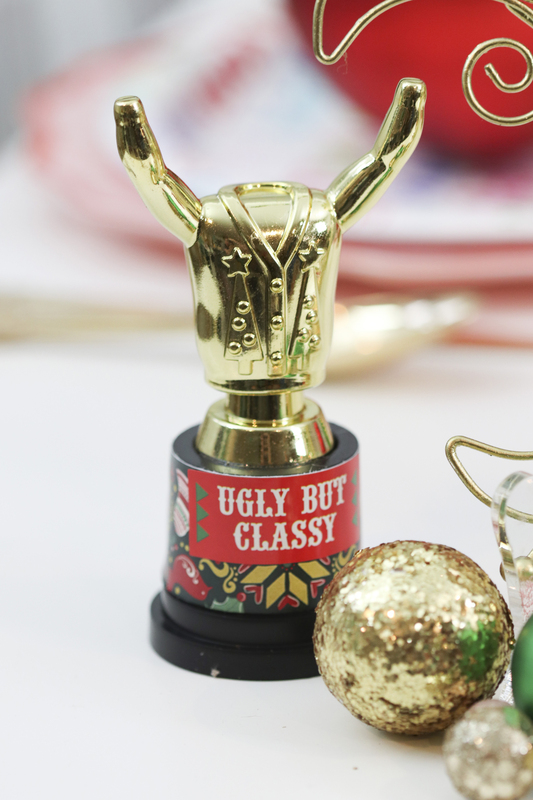 Want to get your guests excited for your annual Ugly Sweater Christmas party! Start with the invitation. 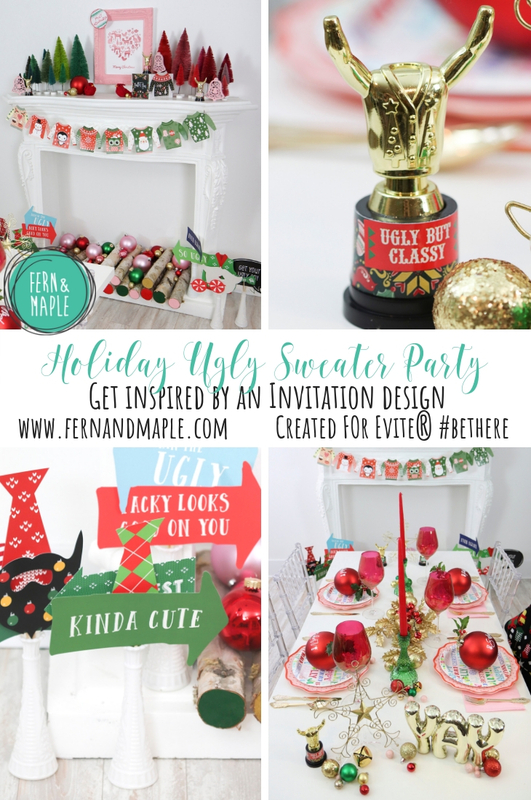 The invitation to your ugly sweater holiday party is the first impression your guests will have of the party, it will set the tone for what’s to come. Because of this I like to use the invitation as the basis for other elements of the party. 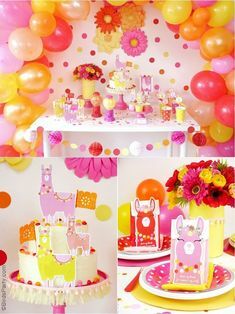 It inspires everything from the theme, the color palette and the party decor. 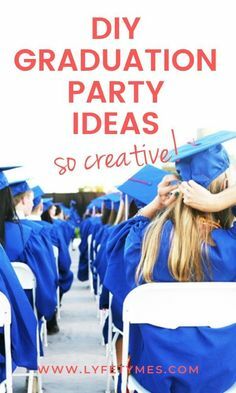 Here are my top tips for pulling together a holiday party using an invitation; not only to get your guests together, but to inspire the mood of the entire party. 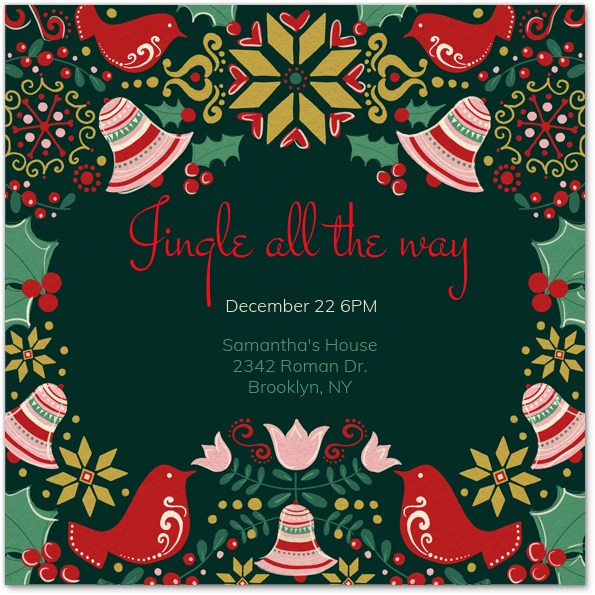 I designed this party inspired by this gorgeous Evite premium invitation “Let there be jolly”. I love the fresh combination of colors (gold, red, green with a splash of pink) in this invitation and the fun Scandinavian design elements. The perfect palette and decor inspiration. The combination of multiple iconic holiday elements were also a natural fit for my theme, I instantly thought Ugly Sweater! The cutest ugly sweaters you ever did see mind you. 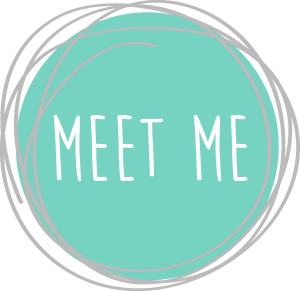 Click here to discover endless inspiration with Evite’s fabulous range of Premium Invitations. 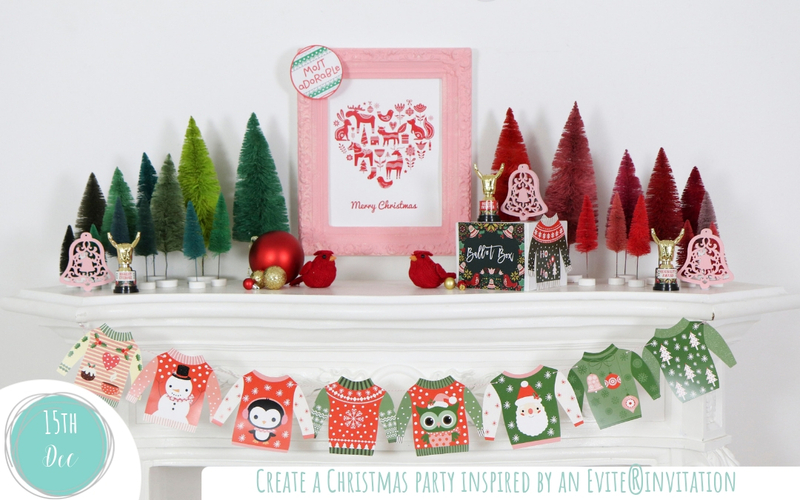 Even better, send an Evite Premium Invite and Evite will send you a promo code for FREE holiday cards. 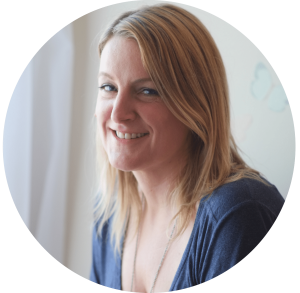 Once you’ve selected and created your premium invitation it’s time to invite your guests. You’ll find there is less stress around throwing a party over the busy holiday period now thanks to invitations by text message from Evite. 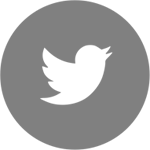 Send the text and let Evite handle the rest. 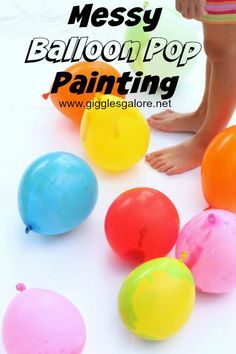 RSVP’s are under control and you can get down to decorating! Bring your premium invitation to life by using the same color palette as the invitation. 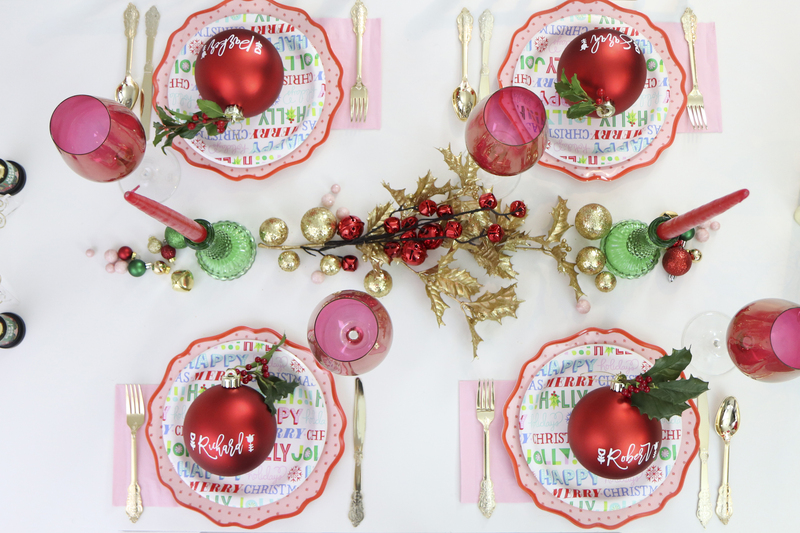 I used the core invitation colors of red & green and incorporated the pink and metallic gold as accents. 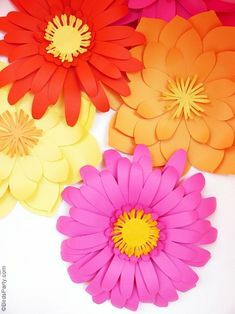 Have fun with the color in unexpected areas of the table. 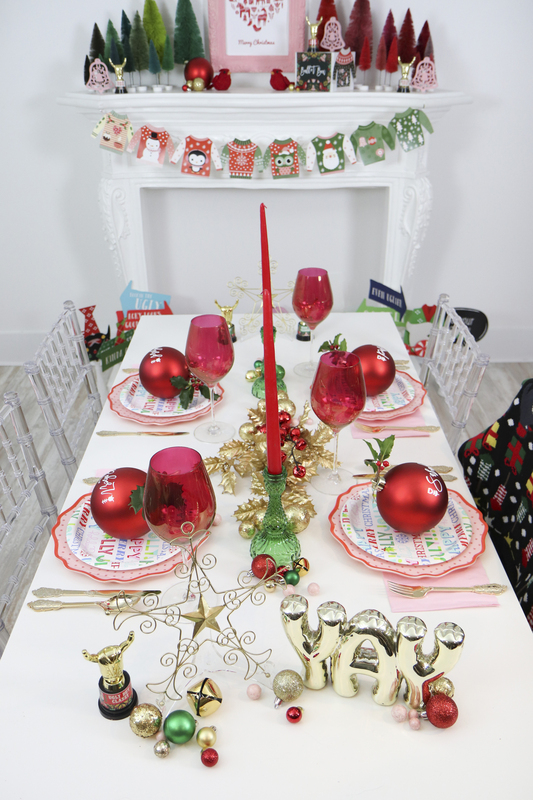 I used red glasses and green glass candlesticks. I also used the colors in other areas of the room. I painted the ends of birch logs in the same colors. 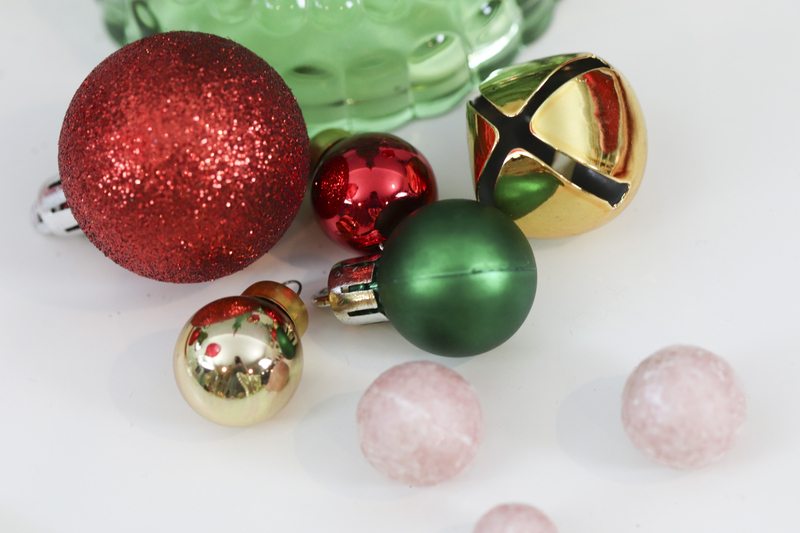 I placed these and simple Christmas ornaments in the same colors into the fireplace. 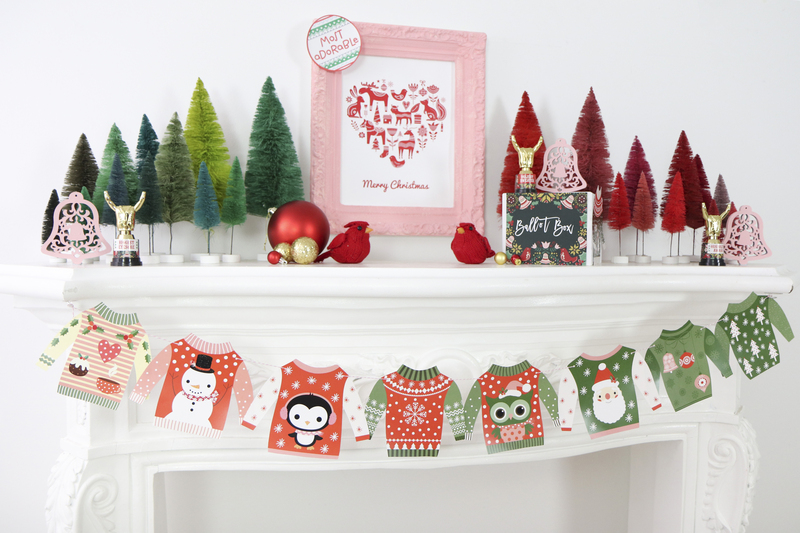 I used more Christmas ornaments in these colors on the tabletop and as accents on the mantle. 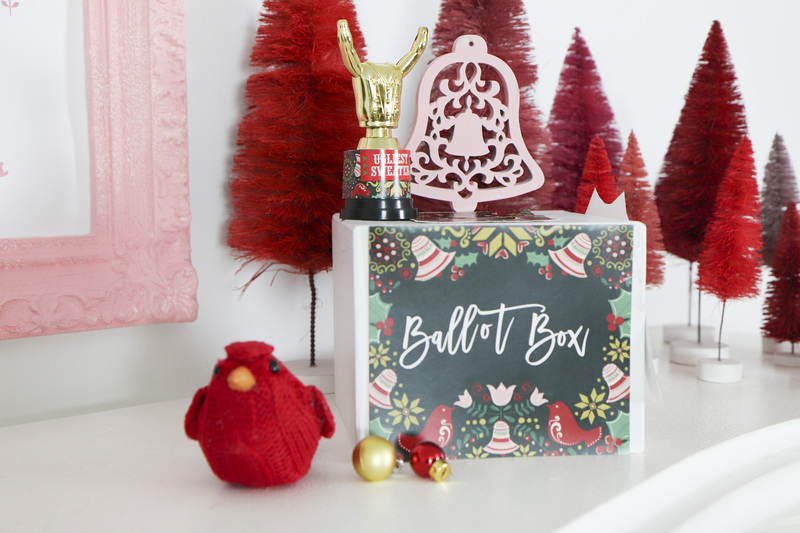 l also focused on key design elements in the design, the red robins, pink bells and stars, finding similar looking Christmas ornaments to use in my decor. These were surprisingly easy to find, I love the selection available at retailers this year. 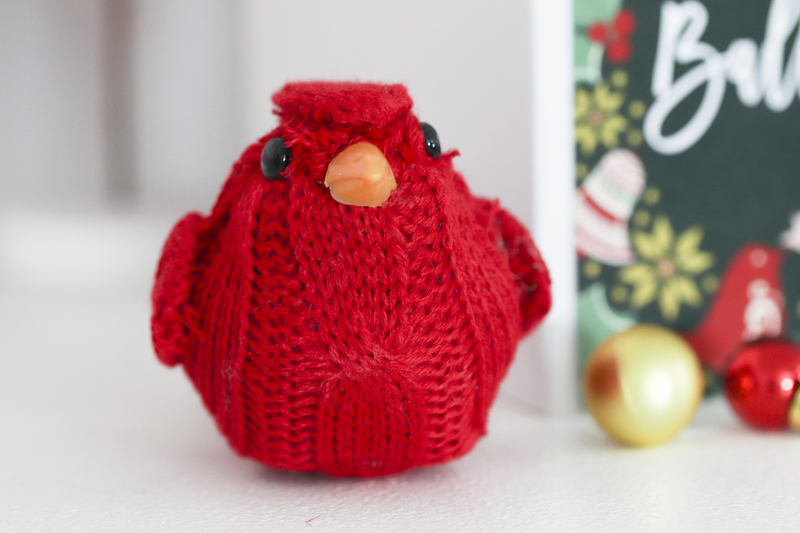 Sweet knit red robins. Bells that I spray painted pink and gold stars I placed on frame stands to display upright. 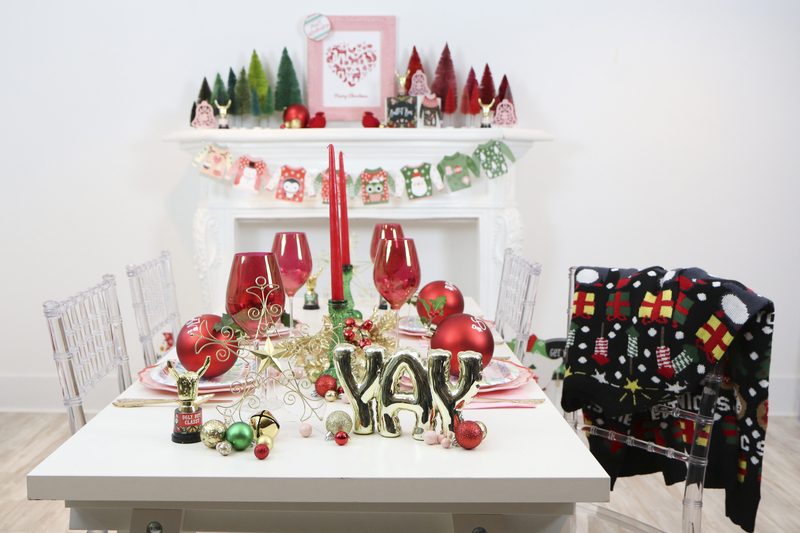 Set the table in an atmospheric location to limit the amount of decorating you need to set up. 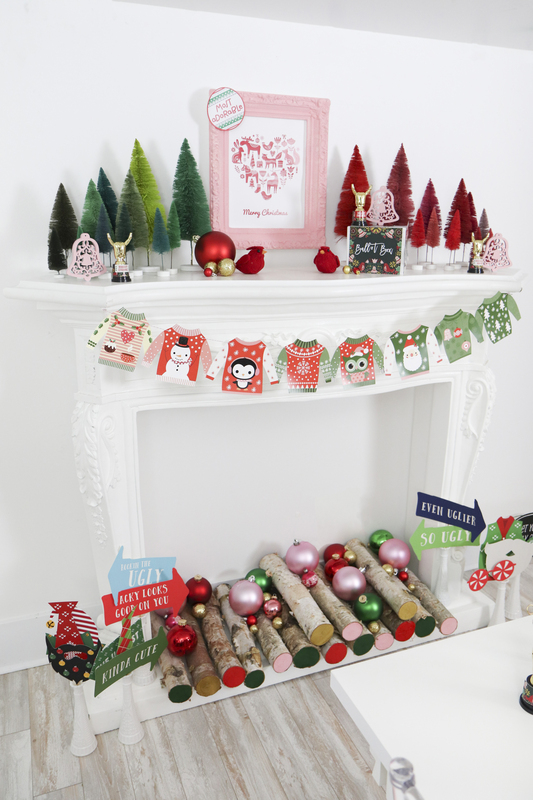 For example, a fireplace is the perfect location, so cozy for a holiday party. 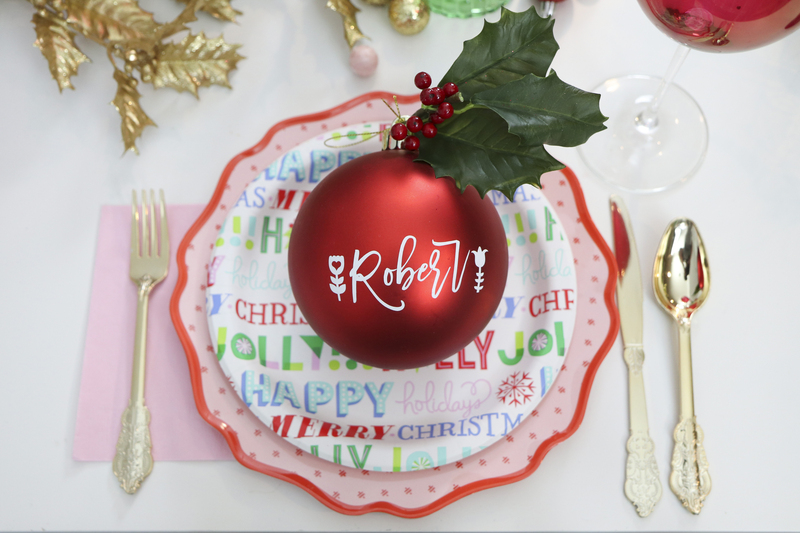 Get the look without paying a premium, repurpose Christmas decorations for table centerpieces and place settings. 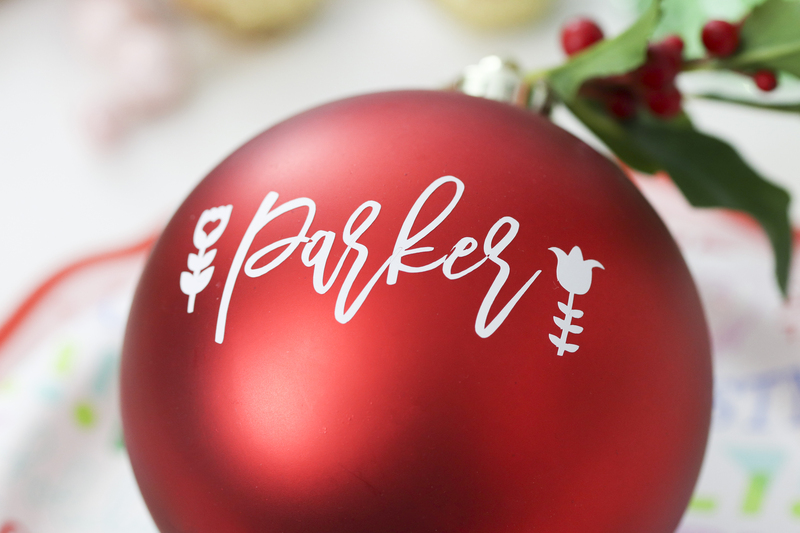 I used my Cricut™ to cut out my guests names and applied them to some of my larger red Christmas balls. (Note: Stickers would also work). 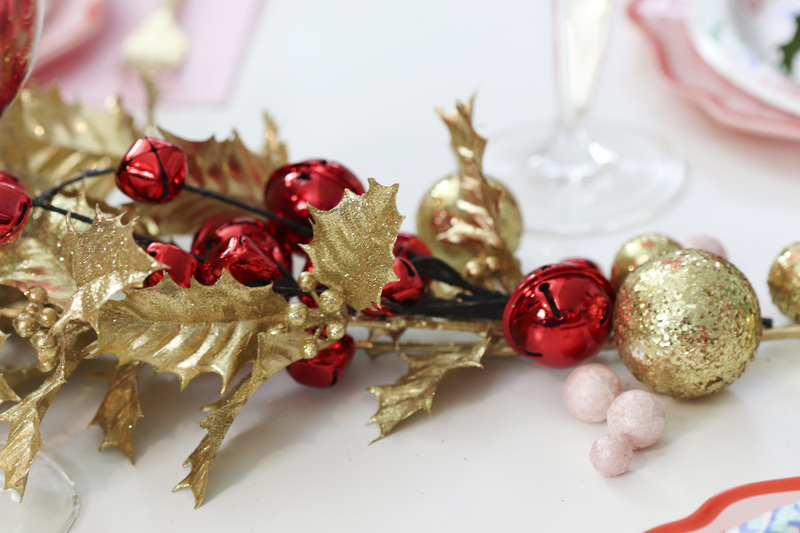 I also added a sprig of holly to tie in with the invitation design. 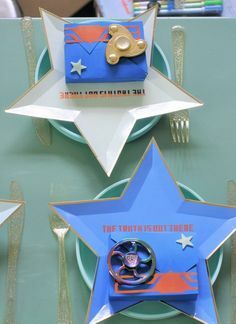 Use the actual invite in your decor. I saved a jpg version (save as image) of the premium invitation I used directly from Evite. I then printed this out and used the invitation to cover my Ugly Sweater ballot box. I also wrapped smaller pieces of the design around the bottom of the trophies. 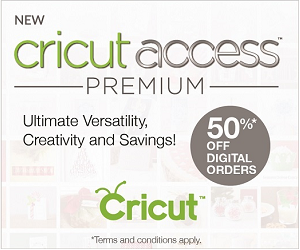 Purchase easy to “print at home” decor. 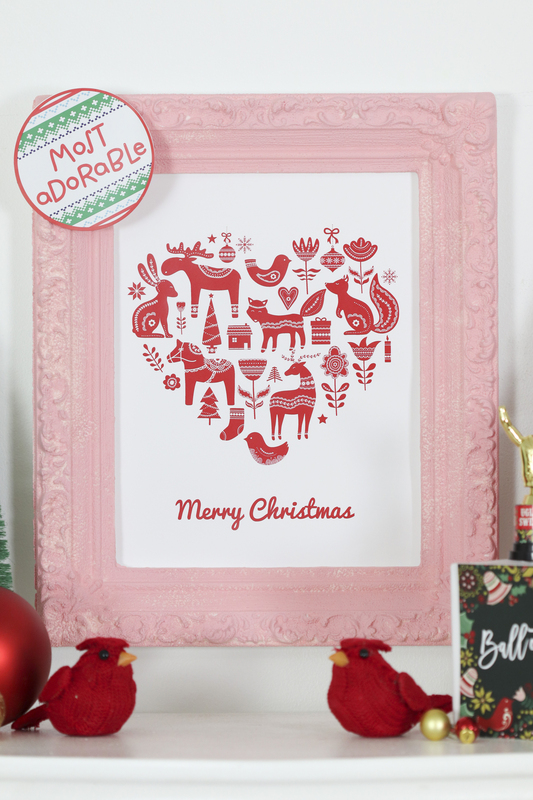 I looked up Scandinavian holiday designs on Etsy and found the perfect Christmas signage complete with red robins and flowers similar to the invitation. I popped this in a frame and placed on the mantel. 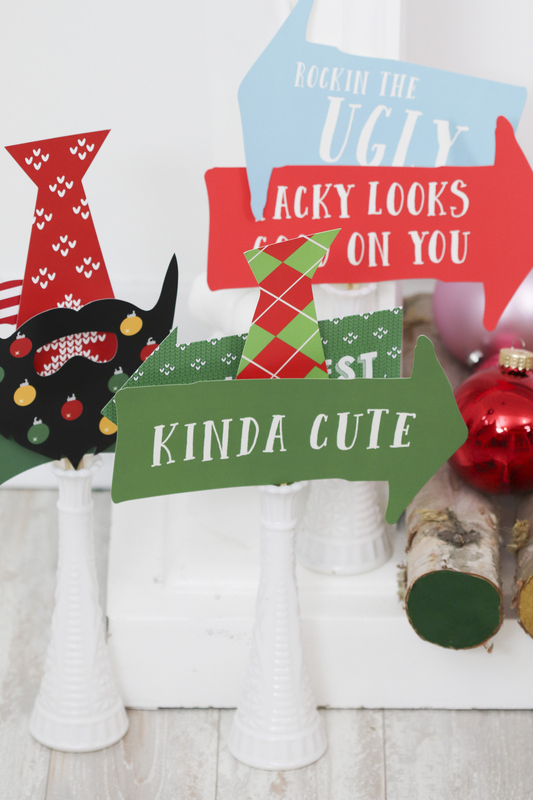 I also found a fun ugly sweater bunting in just the right colors that I could download and print at home. There’s nothing like a little healthy competition to get everyone into the theme and participating. An ugly sweater party is great fun if everyone gets into it. Promise a reward for the victor, even if it is just bragging rights and a trophy for their mantle. 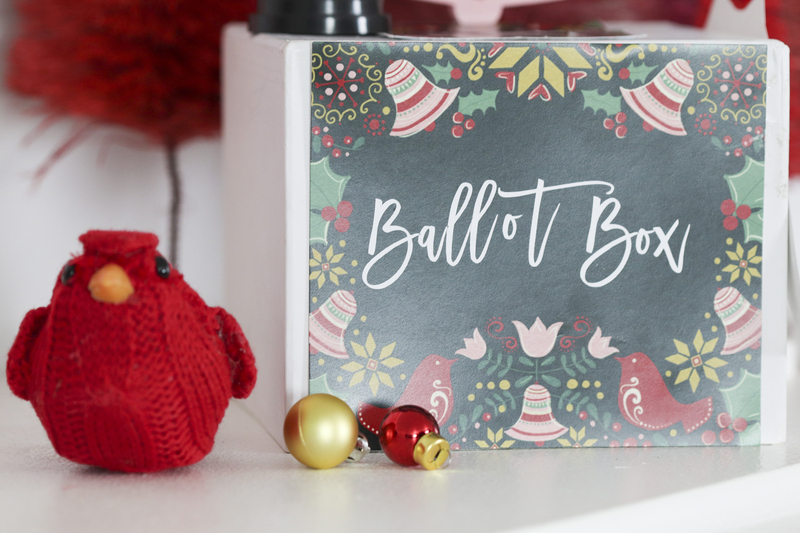 Provide a ballot box for guests to vote and watch as they laugh and check out each others efforts. I’m a huge fan of photo booths for “getting the party started”. They really loosen everyone up and get them into a silly mood. 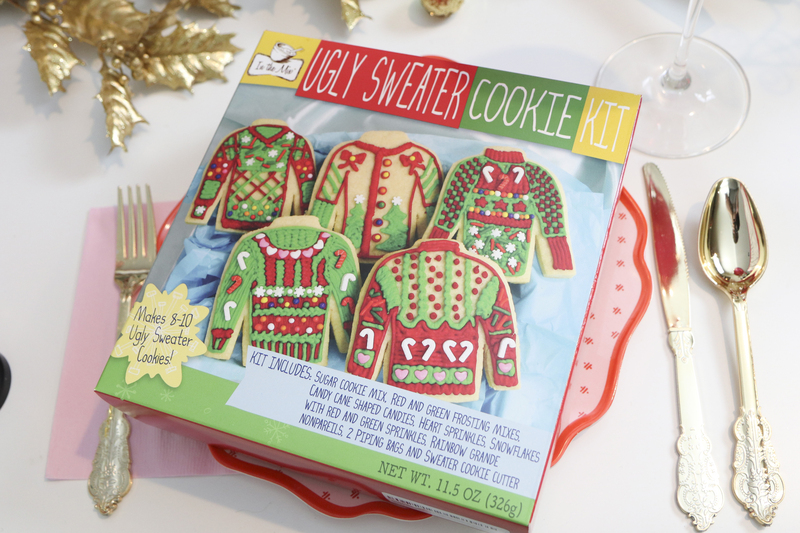 It’s an absolute must for an ugly sweater party….I mean you want leverage over your cousin next year right, lol! 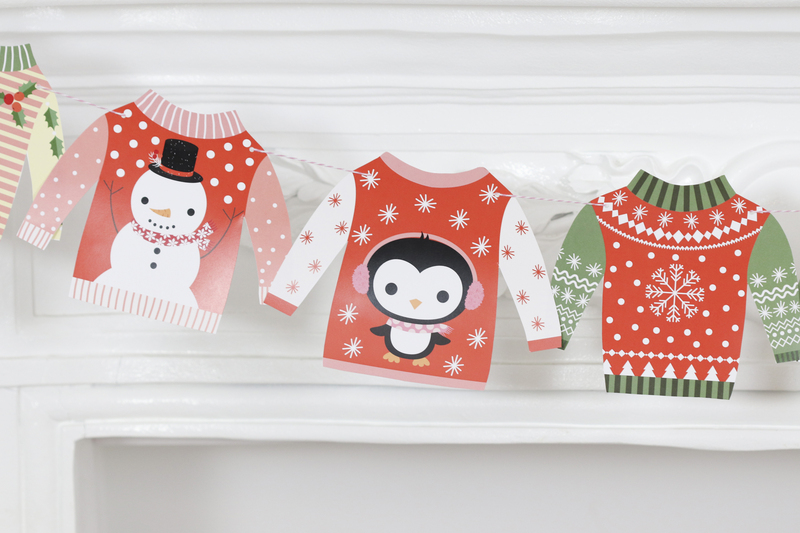 Let the sweaters do the talking, add a few fun props and be on hand with a camera to capture the fun. The holiday season screams cookies! Who doesn’t love cookies? Cookie decorating isn’t limited to kid entertainment. 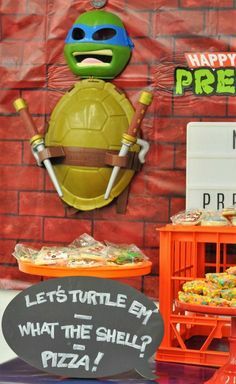 Get the adults into it too and do some after dinner cookie decorating with the reward of a yummy sweet treat. 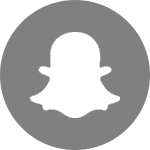 Don’t forget to snap photos and capture the memories of the winners and more. After the party you and your guests will be able to keep all the ugly sweater laughter & fun holiday memories in one place with Evite®’s private sharing feeds. These are available on every invitation, for your guests only. Upload photos, tag guests, and relive the memories anytime. Don’t forget – if you purchase any Premium Invitation from Evite by Jan. 2, they’ll send you a promo code for FREE holiday cards! The sweaters might be ugly, but the invite sure isn’t! Love how this all came together! 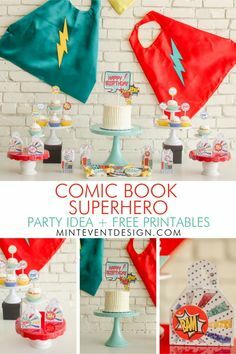 I love this party! So cute. 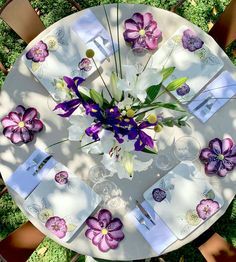 Can’t wait to plan my holiday event! 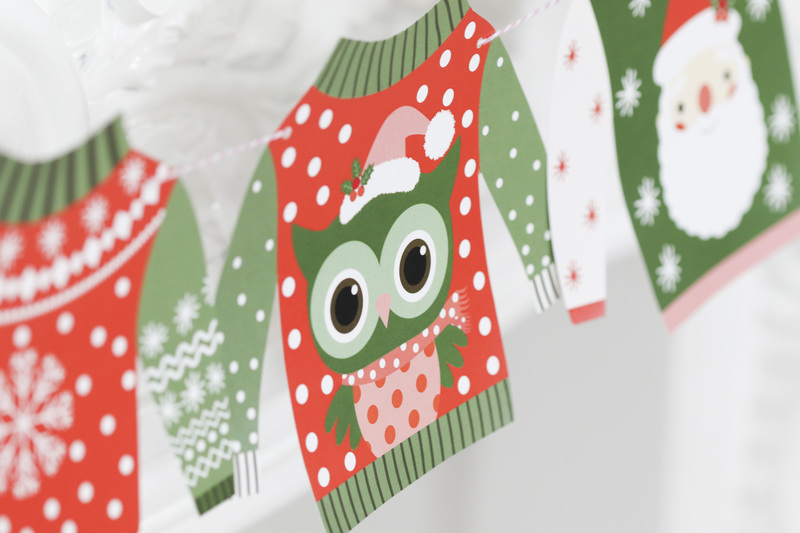 I’ve got my sweater ready…I wanna come to this party! 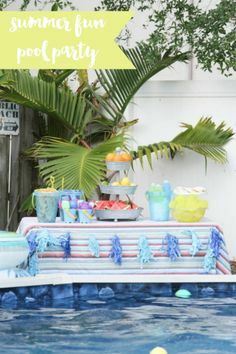 I love using e-vite and love everything about this party! 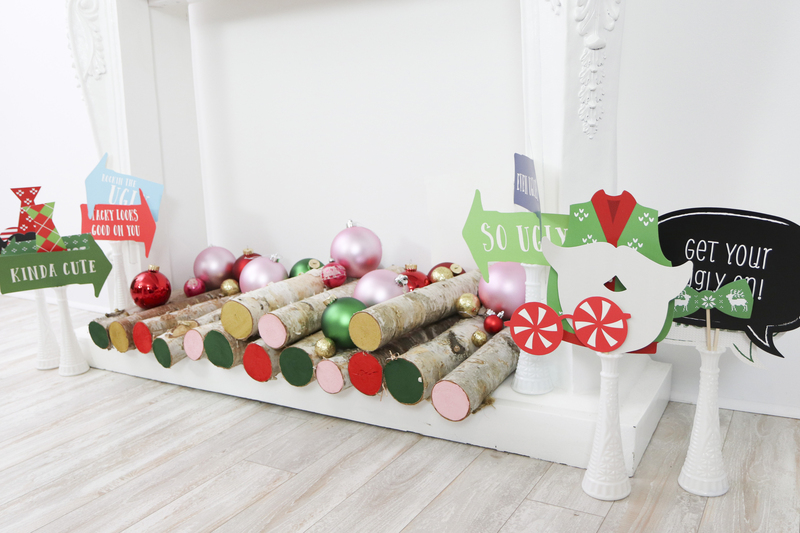 The painted logs are so fun!!! I want to go to this ugly sweater party! So cute!